Flexi-disc was issued for free with Vinyl Magazine #1. Date of issue is incorrectly listed as February 13th 1980 on the cover. 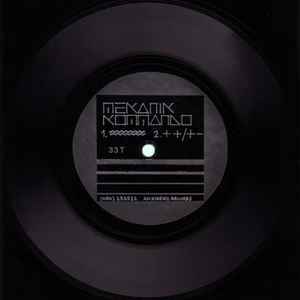 On the flexi the contact info is "(080) 232522 Akzidenz Records." This is most likely a misspelling of the Akzidanz label. Track A1 is also known as "Radio Mekanik"
Track A2 is also known as "Connection-Disconnection"